Remember When Dreams Could Be Reached For The Price Of A Quarter? The coin-operated kiddie ride. Once the delight of children, now they are increasingly relegated to nostalgic memory. As they should be. Everyone remembers the sheer pleasure you got as a wee child, when your parents handed you a quarter, and you were able to climb aboard and set off in a grand adventure. Because you weren't just a kid then. You were a cowgirl, an astronaut, a race car driver, or any number of fantastic possibilities. This sense of wonder is captured perfectly in these designs by Patrick Ballesteros. 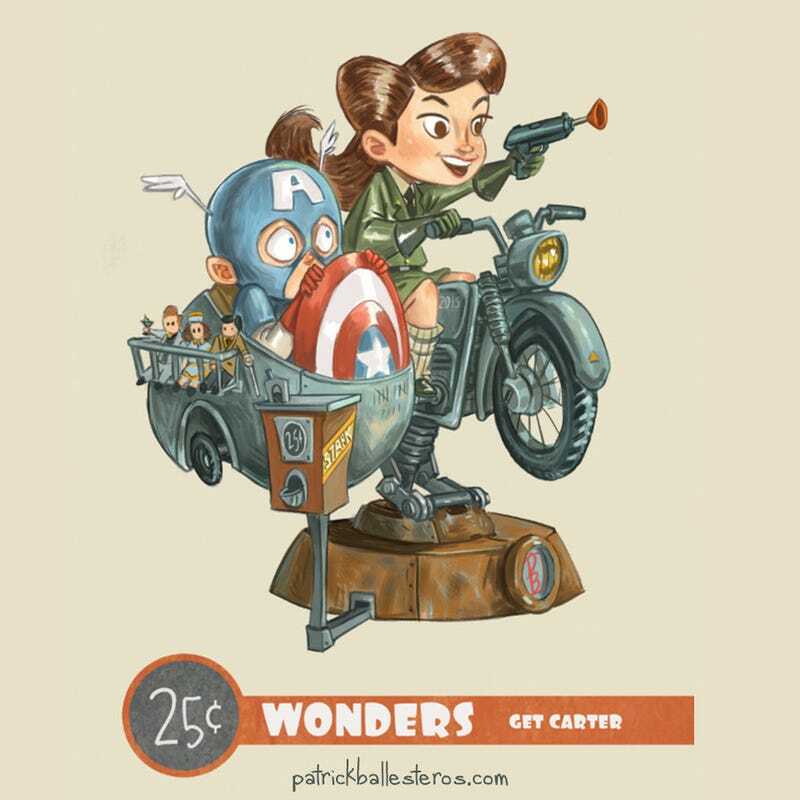 His appropriately named series, 25 Cent Wonders, is a wonderful mash-up of childish wonder and pop culture nostalgia. You can check out the rest of the series at his site. Prints are for available for those so inclined.